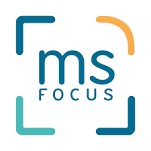 The therapeutic landscape of multiple sclerosis (MS) has been transformed by the advent of several new monoclonal antibody (MAb) therapies that can potentially lead to full stabilisation of detectable disease activity. 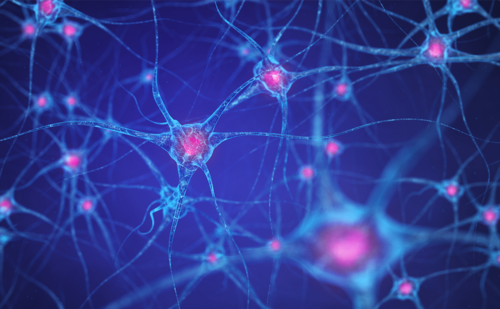 Natalizumab, alemtuzumab and ocrelizumab are currently licensed MAbs for the treatment of MS. Daclizumab was licensed for the treatment of MS, although it has been recently withdrawn from the market by the manufacturer. Most patients are initially managed with first-line treatments, and, if disease breakthrough occurs, are escalated to a stronger compound, yet the available evidence indicates an early window of therapeutic opportunity for MAbs to exert most of their efficacy. It is important to balance the superior efficacy of MAbs compared with injectable treatments against more serious side effects, although these are well recognised and can be monitored where indicated and treated. In particular, the risk of progressive multifocal leucoencephalopathy with natalizumab can be managed by screening potential patients for the John Cunningham virus. The MAbs also have the benefit of convenience to patients compared with daily or weekly treatments since they are given via less frequent administration. The cost of these treatments, compared with other therapies, may be an important issue in many countries where healthcare budgets are under pressure. The complex decision of choosing the best treatment for an individual should be made jointly between the doctor and the patient after careful consideration of the many factors to be weighed. Antonio Scalfari has nothing to disclose in relation to this article. Paolo A Muraro has nothing to disclose in relation to this article, but has received non-financial support from the National Institute for Health Research (NIHR) Biomedical Research Centre funding scheme to Imperial College London and during the conduct of the study received travel, personal fees and non-financial support from Merck Serono and Bayer. He has also received personal fees from Biogen and from Novartis, outside the submitted work. All named authors meet the criteria of the International Committee of Medical Journal Editors for the authorship for this manuscript, take responsibility for the integrity of the work as a whole and have given final approval for the version to be published. The publication of this article was supported by Roche, who were given the opportunity to review the article for scientific accuracy before submission. Any resulting changes were made at the authors’ discretion. Over the last two decades, the therapeutic landscape has dramatically evolved with the development of several new treatments for relapse-remitting multiple sclerosis (RRMS), which can potentially lead to full stabilisation of the disease activity parameters and even improve function in a subset of patients.5 However, preventing or delaying the onset of the progressive phase remains a major unmet therapeutic need.6 Monoclonal antibodies (MAbs) can achieve the highest suppression of the focal inflammatory activity, albeit at the cost of exposing patients to higher risk of severe adverse events (AEs). In this review, we focus on MAbs that are currently used for treating MS or that will be approved by regulatory agencies soon, and we discuss their role in therapeutic strategies. The TOP study is a multinational, prospective, open-label, post-marketing, observational study of patients with RRMS, who had previously been treatment-naïve or had failed to respond to other DMTs and were enrolled shortly after starting natalizumab (≤3 infusions). Among 4,821 patients (enrolled by 1 December 2012), the ARR decreased from 1.99 (1.95–2.03) in the 12 months prior to baseline to 0.31 (0.29–0.32) (p<0.0001).12 For each year of natalizumab exposure, ARR increased from 0.21 to 0.30, and mean EDSS remained relatively unchanged (3.5 at baseline, 3.3 at year 4). Several observational cohort studies confirmed the long-term efficacy of alemtuzumab. For example, among 87 patients followed in the UK for a mean 7 years, the mean ARR decreased from 1.78 (during the 2 years before starting treatment) to 0.16.24 In addition, a larger proportion of patients (43.5%) had a reduction in disability (defined as a 6-month sustained reduction in EDSS score of either ≥1.0 or 0.5 for baseline EDSS scores below and above 5.5, respectively) than an accumulation of disability (32.2%) (defined as 6 months sustained increase of ≥1.5 EDSS points, if the baseline EDSS was 0, of ≥1.0 point, if baseline EDSS was ≥1, but <5.5, or of >0.5 point when baseline was ≥5.5, Figure 2).24 Overall, the mean EDSS remained stable over the observation period (3.6 at last follow-up compared with 3.8 at baseline). Of the 108 patients originally enrolled in the phase II CAMMS223 study, which assessed the safety of alemtuzumab compared with IFNb-1a, 52% (n = 57) were observed for 10 years and received either two, three, four or five courses of treatment (33%, 43%, 12% or 10% respectively).25 The ARR remained low (0.08) and the mean EDSS change from baseline to year 10 was +0.12 point. In addition, 78% had stable or improved (≤1 point improvement) EDSS score. Daclizumab was approved by the US Food and Drug Administration (FDA) and the European Medicines Agency (EMA) in 2016. It became available in England and Wales in 2017 for treating patients with RRMS with high active disease despite a full adequate course of treatment with at least 2 DMTs or for treating rapidly evolving severe relapsing MS, who are unsuitable for treatment with other DMTs.29–32 On 2 March 2018, Biogen and AbbVie voluntarily withdrew daclizumab from the market due to seven cases of serious inflammatory brain disorders (encephalitis and meningoencephalitis). Ocrelizumab was approved by the FDA in March 2017 and by the EMA in January 2018 for treating relapsing forms of multiple sclerosis (RMS) with active disease defined by clinical or imaging features. Ocrelizumab is also indicated for the treatment of adult patients with early primary progressive multiple sclerosis (PPMS) in terms of disease duration and level of disability and with imaging features characteristic of inflammatory activity. It is a humanised MAb that selectively targets CD20+ b cells.33 The efficacy and safety of ocrelizumab were compared to IFNb-1a in two identical multicentre, randomised, double-blind, paralleled group, phase III studies (OPERA I, OPERA II), with 821 and 835 patients with relapsing MS enrolled, respectively (Table 1).34 In OPERA I, after 96 weeks, the ARR was significantly lower in the ocrelizumab group, compared with IFNb-1a (In OPERA II the ARR was also significantly lower). Furthermore, in a prespecified pooled analyses from both OPERA I and II, 9.1% patients in the ocrelizumab treated group were found to have experienced sustained disability progression, compared with 13.6% in the IFNb-1a treated group (p<0.001). Ocrelizumab was also associated with a significantly larger reduction of new gadolinium-enhancing lesions (94% lower with ocrelizumab than IFNb-1a; p<0.001) and improved MS Functional Composite score (0.28 versus. 0.17; p=0.004 in OPERA I), although this was not significantly different among the two groups in OPERA II (0.21 versus. 0.17; p=0.33). The ORATORIO, a multicentre, randomised, double-blind, placebo-controlled phase III trial, enrolled 732 patients with PPMS who received 600 mg ocrelizumab or placebo and were followed up for almost 3 years.33 In comparison to the placebo-treated patients, a significantly smaller proportion of ocrelizumab-treated patients had 12-week confirmed disability progression (32.9% versus 39.3%; p=0.03), or confirmed disability progression at 24 weeks (29.6% versus 35.7%; p=0.04). In addition, the total brain T2 lesions volume decreased in patients treated with ocrelizumab, but increased in the placebo group (p<0.001). In the timed 25-foot walk test, ocrelizumab-treated patients worsened by 38.9% compared with placebo-treated patients, who worsened by 55.1% (p=0.04). No significant difference was observed in the change in the Physical Component Summary Score of the 36-Item Short-Form Health Survey. There are several caveats associated with long-term outcomes. These include limited information regarding the outcomes (efficacy and safety) of patients that drop out, there is a natural regression to the mean in efficacy outcomes in long-term trials, efficacy is offset by any safety issues and real-world studies have inherent biases. Should monoclonal antibody therapy be used as first-line therapy or reserved for second-line use? Early treatment initiation was shown to reduce the probability of experiencing a second attack and of preventing disability accumulation.36–41 However, the question whether an effective therapeutic suppression of the early inflammatory disease activity can prevent the onset of progression remains unresolved and the use of aggressive therapeutic strategies is still based on empirical evidence.6,42 The majority of patients with mildly to moderately active MS are initially managed with first-line treatments, which are advantaged by a good safety profile and availability of long-term safety data, and, if disease breakthrough occurs, are escalated to a stronger compound (Figure 3).43 Data on the direct comparison of efficacy, among second-line drugs, are not available. Therefore, the decision on switching treatment should be primarily based on the patients’ clinical situation and risk profile. The 2018 European Committee for Treatment and Research in MS (ECTRIMS)/European Academy of Neurology (EAN) guidelines developed using the Grading of Recommendations Assessment, Development and Evaluation (GRADE) methodology produced clinical questions in the PICO format (patient, intervention, comparator, outcome). 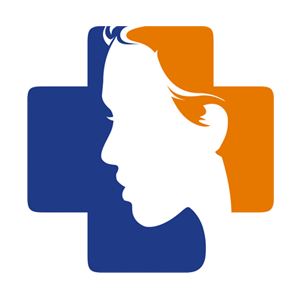 The guidelines provide recommendations based on available evidence and should provide homogeneity of treatment decisions throughout Europe.54 In total, 10 questions were formulated on treatment efficacy, response criteria, strategies to address suboptimal response and safety concerns and finally treatment strategies in MS and pregnancy. In particular, Question 6 involved discussion of switching between IFN and GA or changing to more efficacious DMTs (such as MAbs). Nine studies were considered for meta-analysis and as a result, recommendations 14 and 15 were proposed. Recommendation 14 had strong support – to offer a more efficacious drug to patients on IFN or GA where there is evidence of disease activity. Recommendation 15 is a consensus statement recommending to consider patient characteristics and comorbidities; drug safety profile and disease severity/activity in the decision about therapy switching. Giovannoni et al. 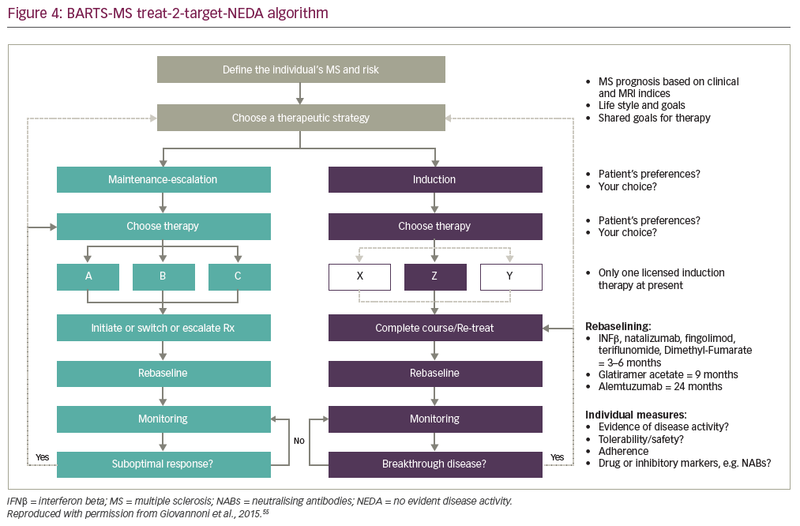 have questioned whether no evidence of disease activity (NEDA) should be the treatment target among patients with MS.55 The new treat-to-target NEDA algorithm individualises the treatment by choosing between two interchangeable strategies of maintenance-escalation or induction therapy (Figure 4).55 The algorithm requires MRI assessment at re-baselining, after the specific DMT has had time to show efficacy, which normally is established within 6 months from therapy initiation. Disease activity while on the maintenance-escalation therapy implies a sub-optimal response, which requires consideration of switching or escalating therapy or moving to the induction option. Alternatively, switching to the maintenance-escalation therapy should be considered, when disease activity occurs despite the induction treatment. Switching among treatments may require a wash-out period of generally 3 months before commencing the new drug. This might potentially expose patients to disease rebound. In addition, switching from natalizumab or fingolimod may require cerebrospinal fluid analysis prior to initiation of the new therapy in order to rule out PML infection, which could potentially and dangerously be carried over. Evidence from observational studies indicated that, among patients experiencing clinical breakthrough while on first line treatments, switching to natalizumab is more effective than switching to another immunomodulator. The study compared patients who had relapsed on IFNb or GA and were switched to natalizumab or IFNb/GA ≤6 months after discontinuing prior therapy.56 During the first year of observation, switching to natalizumab, compared to switching between IFNb and GA, resulted in a reduction of the ARR (by 65–75%) and of the risk of having further relapses (by 53–82%) – p≤0.001 for all comparisons. 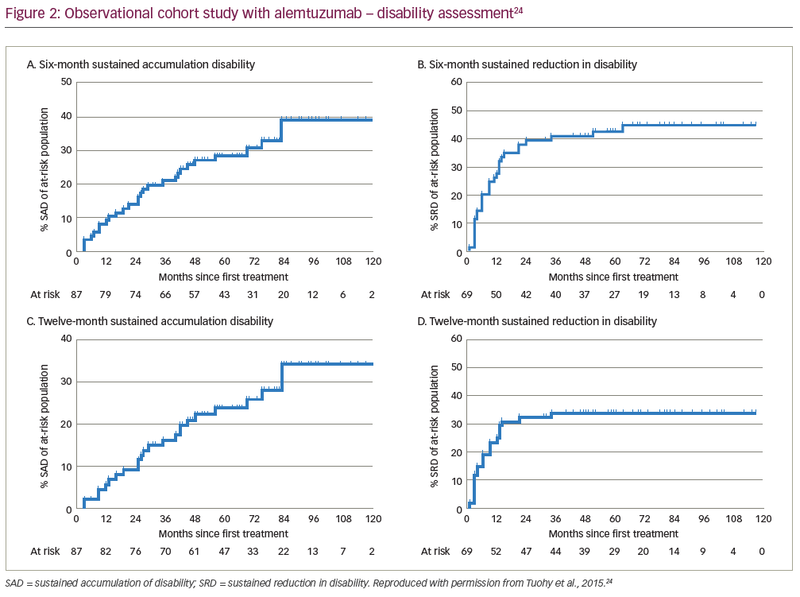 In addition, during the first 24 months after switching therapy, patients on natalizumab had a lower risk of confirmed disability progression (by 26%; p=0.036) and a reduction of the total disability burden (by 1.54 EDSS-years; p<0.0001). Data from the MSBase registry showed that, among patients experiencing relapses or disability progression while on injectable DMTs, switching to natalizumab can achieve a better disease control, compared with switching to fingolimod.57 Propensity score-based matching was used to select 578 patients with similar baseline characteristics. After a mean follow-up of 12 months, ARRs were 0.2 and 0.4 for natalizumab and fingolimod, respectively, with a 50% relative post-switch difference in relapse hazard (p=0.002). The rate of sustained disability regression (regression of ≥1 EDSS sustained for ≥6 months) was 2.8 times higher with natalizumab than with fingolimod (p<0.001) and the change in disability burden was 0.12 versus 0.04 with natalizumab and fingolimod, respectively (p<0.001). Choosing the optimum treatment for a particular patient is problematic, as many factors must be carefully weighed and the views of the individual patient should be considered. It is important that this decision is made jointly between the doctor and patient. Treatment algorithms are available to the neurologist and provide guidance for these decisions, but the experience and skill of the neurologist will always remain crucial to arrive at the optimum treatment for each patient. Using data from RRMS propensity-matched patients, followed for 5 years at 71 MSBase centres in 21 countries and at non-MSBase centres in the UK and Germany, the efficacy of alemtuzumab, natalizumab, fingolimod and IFNb was compared.58 A total of 189, 2,155, 828 and 1,160 patients received alemtuzumab, IFNb, fingolimod or natalizumab respectively. The use of alemtuzumab was associated with a lower ARR, compared with IFNb (0.19 versus 0.53, p<0.0001) and with fingolimod (0.15 versus 0.34, p<0.0001), although it was similar to natalizumab (0.20 versus 0.19, p=0.78). The probability of experiencing disability accumulation was not significantly different among groups. However, disability improvement was more likely to occur in the natalizumab group, compared with the alemtuzumab group (EDSS improvement 0.59 versus 0.35; p=0.0006). An independent, multicentre, post-marketing study evaluated the effectiveness of natalizumab, fingolimod and injectable DMTs among patients with inadequate response to the first immunomodulating therapy (n=567) and among treatment-naïve patients with highly active disease (n=216).59 The primary outcome measure was NEDA-3 (absence of relapses, disability worsening and radiological activity), assessed 24 months after switching DMT in non-responders or after starting high-dose IFNb. In the non-responder cohort, the proportion of patients with NEDA-3 was 67%, 42% and 35% (p=0.034), for the natalizumab, fingolimod and injection DMT groups, respectively. In patients with highly active disease, NEDA-3 was observed in 75%, 67% and 40% for the natalizumab, fingolimod and injection DMT groups respectively, but the difference was not statistically significant (probably due to small group sizes). Each MAb treatment for MS has a unique biological structure and target, and accordingly a variety of mechanisms of action (MOA). The decision for the optimum therapy for a patient should be considered on an individual basis.60,61 Efficacy has to be carefully balanced with safety and other factors that influence the likely success of a treatment, such as adherence. Although earlier, more effective treatment is commonly used in patients who are likely to have a worse outlook or more rapid progression, there is no direct evidence of the long-term benefits. There is thus a need to collect long-term data in order to inform physicians and patients when choosing the optimal treatment. The decision to treat MS with a MAb is multifaceted. Their superior efficacy compared with injectable treatments must be balanced against more serious side effects, which can be monitored. MAbs have the advantage of convenience and potentially better patient adherence, as they are administered by less frequent infusion, rather than injection daily or every few days, or daily oral dosing. It is also pertinent to consider the cost of these treatments compared with other therapies, which is a potential issue in many countries where healthcare budgets are under pressure. It should be noted, however, that for a more effective therapy the higher cost of treatment may be offset by reduction of costs related to disability progression and health care resource utilisation. 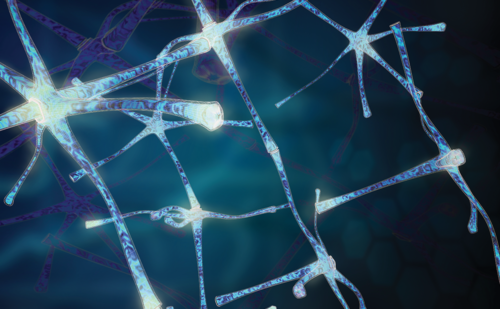 Natalizumab, alemtuzumab and ocrelizumab are currently licensed for the treatment of MS, but in the next few years more MAb treatment options should be available. Ocrelizumab is the only licensed DMT for PPMS. Natalizumab and alemtuzumab are generally used as second-line treatments or in cases of aggressive disease. Their use as first-line treatments is open to debate, as the advantage of enhanced efficacy must be weighed against their risk. There is evidence that when disease breakthrough occurs with treatment using a first-line therapy, switching to a MAb rather than a different first-line therapy is probably the best option to control the disease activity. Compston A, Coles A. Multiple sclerosis. Lancet. 2008;372;1502–17. Scalfari A, Neuhaus N, Daumer, M, at al. Onset of secondary progressive phase and long-term evolution of multiple sclerosis. J Neurol Neurosurg Psychiatry. 2014;85:67–75. Trapp BD, Peterson J, Ransohoff RM, et al. Axonal transaction in the lesions of multiple sclerosis. N Engl J Med.1998;338:278–85. Lassmann H, van Horssen J, Mahad D. Progressive multiple sclerosis: pathology and pathogenesis. Nature Reviews Neurol. 2012;8:647–56. Wingerchuk DM, Weinshenker BG. 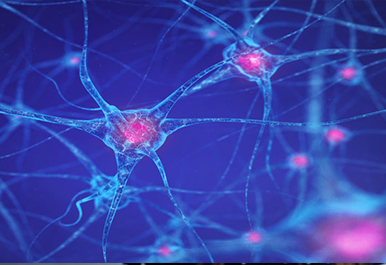 Disease modifying therapies for multiple sclerosis. BMJ. 2016;354:i3518. Fox EJ, Rhoades RW. 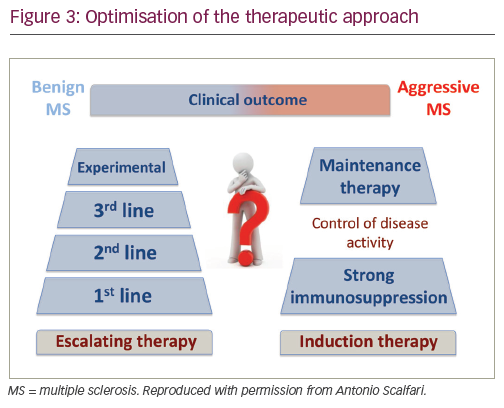 New treatments and treatment goals for patients with relapsing-remitting multiple sclerosis. Curr Opin Neurol. 2012;25 Suppl.:S11–9. Polman C, O’Connor PW, Havrdova E, et al. A randomized, placebo-controlled trial of natalizumab for relapsing multiple sclerosis. N Engl J Med. 2006;354:899–912. Miller DH, Soon D, Fernando KT, et al. MRI outcomes in a placebo-controlled trial of natalizumab in relapsing MS. Neurology. 2007;68:1390–401. Planas R, Martin R, Sospedra M. Long-term safety and efficacy of natalizumab in relapsing-remitting multiple sclerosis: impact on quality of life. Patient Relat Outcome Meas. 2014;5:25–33. O’Connor P, Goodman A, Kappos L, et al. Long-term safety and effectiveness of natalizumab redosing and treatment in the STRATA MS study. Neurology. 2014;83:78–86. Rudick R, Goodman A, Kappos L, et al. 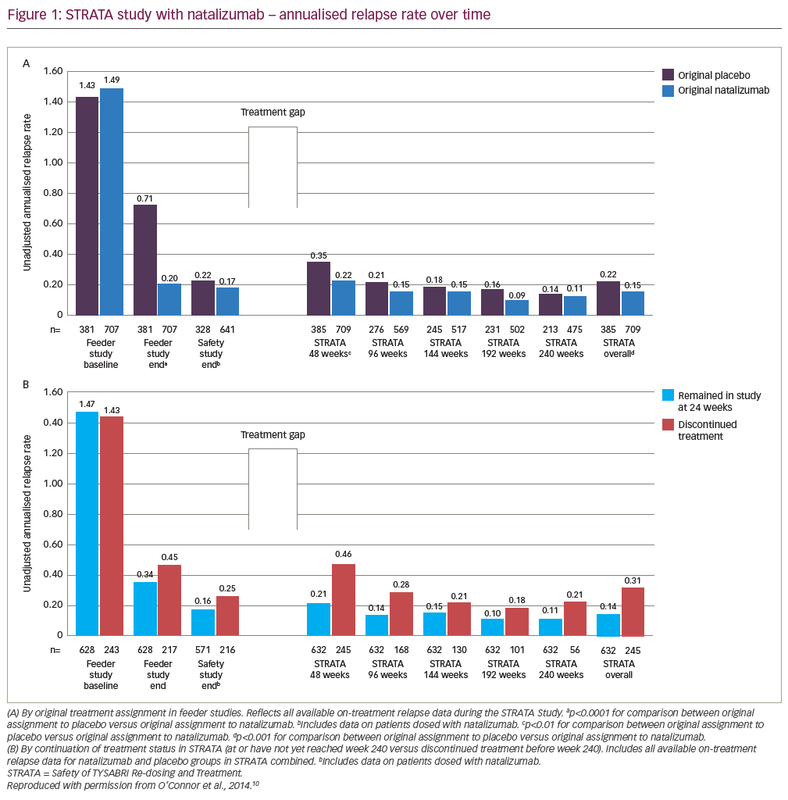 Six-year natalizumab safety and efficacy data from STRATA study. Presented at: 29th Congress of the European Commitee for Treatment and Research in Multiple Sclerosis, Copenhagen, Denmark, 2–5 October, 2013. Abstr # 34073. Butzkueven H, Kappos L, Pellegrini F, et al. Efficacy and safety of natalizumab in multiple sclerosis: interim observational programme results. J Neurol Neurosurg Psychiatry. 2014;85:1190–7. Fernández O, Garcia-Merino JA, Arroyo R, et al. Spanish consensus on the use of natalizumab (Tysabri®)-2013. Neurologicia. 2015;30:302–14. Havrdova E, Galetta S, Hutchinson M, et al. Effect of natalizumab on clinical and radiological disease activity in multiple sclerosis: a retrospective analysis of the Natalizumab Safety and Efficacy in Relapsing-Remitting Multiple Sclerosis (AFFIRM) study. Lancet Neurol. 2009;8:254–60. 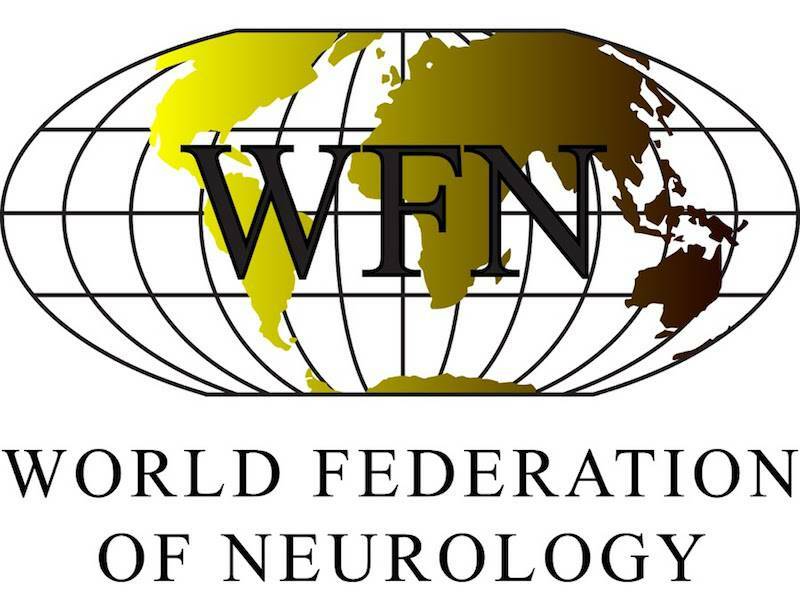 Prosperini L, Fanelli F, Pozzilli C. Long-term assessment of no evidence of disease activity with natalizumab in relapsing multiple sclerosis. J Neurol Sci. 2016;364:145–7. Belachew S, Phan-Ba R, Bartholomé E, et al. Natalizumab induces a rapid improvement of disability status and ambulation after failure of previous therapy in relapsing-remitting multiple sclerosis. Eur J Neurol. 2011;18:240–5. NYU Langone Health. Extending dosing intervals redues deadly side effect risk from popular multiple sclerosis drug. 2018. Available at: www.prnewswire.com/news-releases/extending-dosing-intervals-reduces-deadly-side-effect-risk-from-popular-multiple-sclerosis-drug-300592689.html (accessed 4 December 2018). Cohen JA, Coles AJ, Arnold DL, et a. Alemtuzumab versus interferon beta 1a as first-line treatment for patients with relapsing-remitting multiple sclerosis: a randomised controlled phase 3 trial. Lancet. 2012;380:1819–28. Coles AJ, Twyman CL, Arnold DL, et al. Alemtuzumab for patients with relapsing-remitting multiple sclerosis after disease-modifying therapy: a randomised controlled phase 3 trial. Lancet. 2012;380:1828–39. Hartung H-P, Aktas O, Boyko N. Alemtuzumab: A new therapy for active relapsing-remitting multiple sclerosis. Mult Scler. 2015;21:22–34. Havrdova E, Arnold DL, Cohen JA, et al. Durable efficacy of alemtuzumab on clinical outcomes over 5 years in treatment-naíve patients with active relapsing-remitting multiple sclerosis with most patients not receiving treatment for 4 years: CARE-MS I extension study. Presented at: 31st Congress of the European Committee for Treatment and Research in Multiple Sclerosis, Barcelona, Spain, 2015. 7–10 October 2015. Abstr 152. Fox EJ, Arnold DL, Cohen JA, et al. Durable efficacy of alemtuzumab on clinical outcomes over 5 years in CARE-MS II with most patients free from treatment for 4 years. Presented at: 31st Congress of the European Committee for Treatment and Research in Multiple Sclerosis, Barcelona, Spain, 7–10 October 2015. Abstr P1102. Barkhof F, Cohen JA, Coles A, et al. Alemtuzumab slows brain volume loss over 5 years in patients with active relapsing-remitting multiple sclerosis with most patients not receiving treatment for 4 years: CARE-MS I and II extension study. Presented at: 31st Congress of the European Committee for Treatment and Research in Multiple Sclerosis, Barcelona, Spain, 7–10 October 2015. Abstr 151. Tuohy O, Costelloe L, Hill-Cawthorne G, et al. Alemtuzumab treatment for multiple sclerosis: long-term safety and efficacy. J Neurol Neurosurg Psychiatry. 2015;86:208–15. Selmaj KW, Habek M. Bass AD, et al. Efficacy and safety of alemtuzumab in patients with RRMS is durable over 10 years: follow-up from the CAMMS223 study. Presented at: 32nd Congress of the European Committee for Treatment and Research in Multiple Sclerosis, London, UK, 14–17 September 2016. Abstr P679. 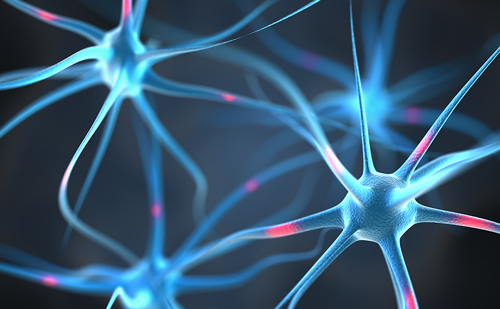 Havrdova E, Horakova D, Kovarova I. Alemtuzumab in the treatment of multiple sclerosis: key clinical trial results and considerations for use. Ther Adv Neurol Disord. 2015;8:31-45. Van Wijmeersch B, Oreja-Guevara C, Milo R. Can we offer more to patients with multiple sclerosis? EU Neurol Rev. 2015;10:139–47. Muraro PA, Scolding NJ, Fox RJ. Rare side effects of alemtuzumab reming us of the need for postmarketing surveillance. Neurology. 2018;90:819–820. Milo R. The efficacy and safety of daclizumab and its potential role in the treatment of multiple sclerosis. Ther Adv Neurol Disord. 2014;7:7–21. Gold R, Giovannoni G, Selmaj K, et al. Daclizumab high-yield process in relapsing-remitting multiple sclerosis (SELECT): a randomised, double-blind, placebo-controlled trial. Lancet. 2013;381:2167–75. Phillips G, Guo S, Bender R, et al. Assessing the impact of multiple sclerosis disease activity and daclizumab HYP treatment on patient-reported outcomes: Results from the SELECT trial. Mult Scler Relat Disord. 2016;6:66–72. Kappos L, Weindl H, Selmaj K, et al. Daclizumab HYP versus interferon beta-1a in relapsing multiple sclerosis. N Engl J Med. 2015;373:1418–28. Montalban X, Hauser SL, Kappos L, et al. Ocrelizumab versus placebo in primary progressive multiple sclerosis. N Engl J Med. 2017;376:209–20. Hauser SL, Bar-Or A, Comi G, et al. Ocrelizumab versus interferon beta-1a in relapsing multiple sclerosis. N Engl J Med. 2017;376:221–34. Chaudhuri A. Ocrelizumab in multiple sclerosis: risks and benefits. Lancet. 2012;379:1196–7. Comi G, Filipi M, Barkof F, et al. Effect of early interferon treatment on conversion to definite multiple sclerosis: a randomised study. Lancet. 2001;357:1576–82. Kappos L, Freedman MS, Polman CH, et al. Effect of early versus delayed interferon beta-1b treatment on disability after a first clinical event suggestive of multiple sclerosis: a 3-year follow-up analysis of the BENEFIT study. Lancet. 2007;370:898–97. Comi G. Shifting the paradigm toward early treatment of multiple sclerosis with interferon beta. Clin Ther. 2009;31:1142–57. Jacobs LD, Beck RW, Simon JH, et al. Intramuscular interferon beta-1a therapy initiated during the first demyelinating event in multiple sclerosis. CHAMPS Study Group. N Engl J Med. 2000;343:898–904. Kappos L, Freedman MS, Polman CH, et al. Long-term effect of early treatment with interferon beta-1b after a first clinical event suggestive of multiple sclerosis: 5-year active treatment extension of the phase 3 BENEFIT trial. Lancet Neurol. 2009;8:987–97. Bermel RA, You X, Foulds P, et al. Predictors of long-term outcome in multiple sclerosis patients treated with interferon β. Ann Neurol. 2013;73:95–103. Edan G, Le Page E. Induction therapy for patients with multiple sclerosis: Why? When? How? CNS Drugs. 2013;27:403–9. Dörr J, Paul F. The transition from first-line to second-line therapy in multiple sclerosis. Curr Treat Options Neurol. 2015;17:354. Coles AJ, Cox A, Le Page E, et al. The window of therapeutic opportunity in multiple sclerosis: evidence from monoclonal antibody therapy. J Neurol. 2006;235:98–108. Fisniku LK, Brex PA, Altmann DR, et al. Disability and T2 MRI lesions: a 20-year follow-up of patients with relapse onset of multiple sclerosis. Brain. 2008;131:808–17. Tintore M, Rovira A, Rio J, et al. Defining high, medium and low impact prognostic factors for developing multiple sclerosis. Brain. 2015;138:1863–74. Confavreux C, Vukusic S, Adeleine P. Early clinical predictors and progression of irreversible disability in multiple sclerosis: an amnesic process. Brain. 2003;126:770–82. Tremlett H, Yousefi M, Devonshire V, et al. 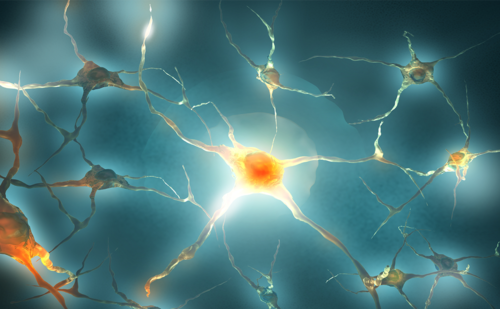 Impact of multiple sclerosis relapses on progression diminishes with time. Neurology. 2009;73:1616–23. Scalfari A, Neuhaus A, Degenhardt A, et al. The natural history of multiple sclerosis: a geographically based study 10: relapses and long-term disability. Brain. 2010;133:1914–29. Leray E, Yaouanq J, Le Page E, et al. Evidence for a two-stage disability progression in multiple sclerosis. Brain. 2010;133:1900–13. Freedman M. Long-term follow-up of clinical trials of multiple sclerosis therapies. Neurology. 2011;76(Suppl. 1):S26–34. Comi G. Clinically isolated syndrome: the rationale for early treatment. Nat Clin Pract Neurol. 2008;4:234–5. Scolding N, Barnes D, Cader S, et al. Association of British Neurologists: revised (2015) guidelines for prescribing disease-modifying treatments in multiple sclerosis. Pract Neurol. 2015;0:1–7. Giovannoni G, Turner B, Gnanapavan S, et al. Is it time to target no evident disease activity (NEDA) in multiple sclerosis? Mult Scler Related Disord. 2015;4:329–33. Spelman T, Kalincik T, Zhang A, et al. Comparative efficacy of switching to natalizumab in active multiple sclerosis. Ann Clin Transl Neurol. 2015;2:373–87. Kalincik T, Horakova D, Spelman T, et al. 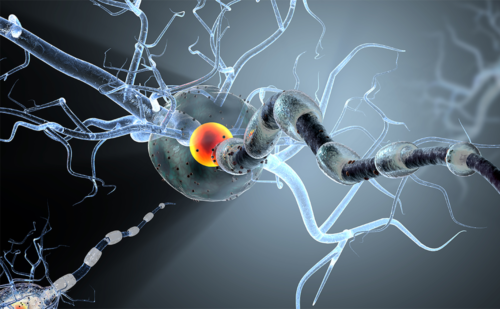 Switch to natalizumab versus fingolomod in active relapsing-remitting multiple sclerosis. Ann Neurol. 2015;77:425–35. Kalincik T, Brown JWL, Robertson N, et al. Treatment effectiveness of alemtuzumab compared with natalizumab, fingolimod and interferon beta in relapsing-remitting multiple sclerosis: a cohort study. Lancet Neurol. 2017;16:271–81. Prosperini L, Saccà F, Cordioli C, et al. Real-world effectiveness of natalizumab and fingolimod compared with self-injectable drugs in non-responders and in treatment-naïve patients with multiple sclerosis. J Neurol. 2017;264:284–94. Lycke J. 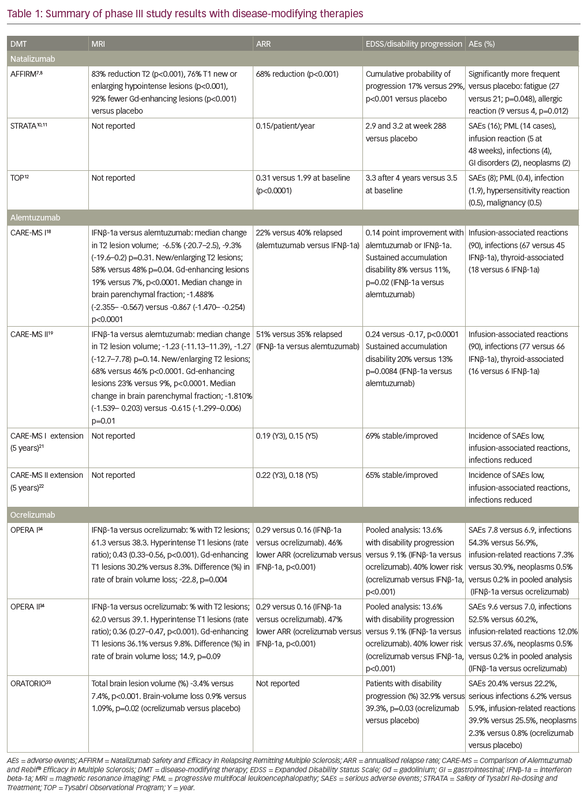 Monoclonal antibody therapies for the treatment of relapsing-remitting multiple sclerosis: differentiating mechanisms and clinical outcomes. Ther Adv Neurol Disord. 2015;8:274–93. D’Amico E, Caserta C, Patti F. Monoclonal antibody therapy in multiple sclerosis: critical appraisal and new perspectives. Expert Rev Neurother. 2015;15:251–68.